Lightweight glassware is going to be the standard-bearer for wine glasses in the coming decades, asserts the CEO of Austrian stemware producer Sophienwald. Whereas in the past crystal wine glasses with detailed cuttings have been in vogue, the industry is gradually shifting toward lightweight, well-balanced, fluid, and functional glassware, with wine glasses from well-known Austrian glassware producers such as Zalto and Sophienwald being favourites among an increasing number of Michelin-starred restaurants and sommeliers. When asked about the criteria of judging a well-made stem, the Austrian stated that weight, design, balance, and even elasticity can make or (quite literally) break a glass. Taking an example of design, the Sophienwald ‘Phoenix’ red wine glass for instance has a more dramatic curve at the bottom of the bowl compared with a Zalto glass, in order to give greater concentration to the aromas of a wine and more surface contact with oxygen, he explained. The stem, on the other hand, is slightly more substantial to achieve a good balance, he added while making a demonstration himself by balancing the glass horizontally on his index figure. Compared with other glassware, he pointed out elasticity is another in which he believes Sophienwald excels, thanks to a long cooling process. Illek believes a prolonged cooling process of three to four hours on average helped diffuse the tensions in a wine glass when it’s been made under high temperature and high pressure. Yet, he is quick to note that creating a glassware that is fluid, balanced, delicate with airy weightlessness is in no way going to make a bad wine taste any better. Established in early 18th century by the lordship of ‘Weitra im Forchenwald’ near Neunagelberg, on the border of Austria and Bohemia, Sophienwald is now owned by the glass empire of the Stölzle family. Its former owner, Carl Anton Stölzle, was married to Amalie, the daughter of Beethoven’s brother Nikolaus Johann van Beethoven. 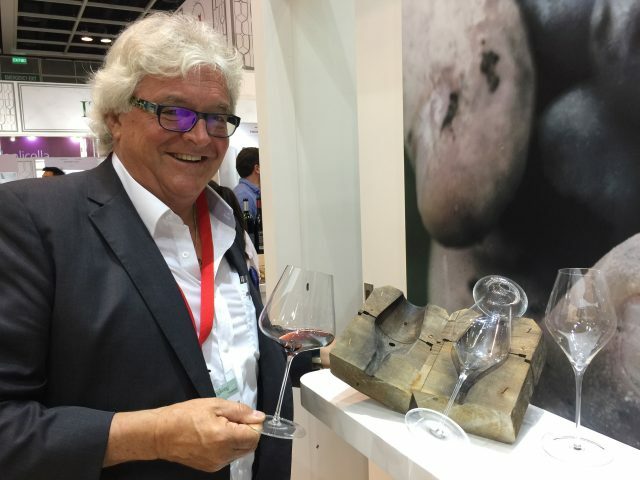 Sophienwald glasses are available in Hong Kong via wine retailer Watson’s Wine. Can individuals buy these wine glasses?